As a total solution provider, Advanced Crane Technologies (ACT) provides Top Running, Gantry, Underhung & Monorail cranes of all types, capacities and spans. Our specialty is unique high capacity and long span cranes; this is what sets us apart from the competition. ACT is also a distributor for R&M Material Handling, based in Springfield Ohio. Our relationship with R&M allows us to competitively provide cranes even at lower capacities, and shorter spans. We offer Safety, Diagnostic, and Crane monitoring Systems. 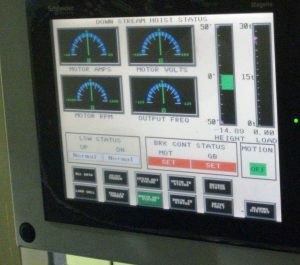 Just like the dashboard and the on-board diagnostic computer of your car provides feedback to the operator, and the service technicians at the dealership, modern crane controls have the ability to monitor and record events, time used, faults, and other areas that indicate problems with the crane before they become a safety or loss of production issue. The latest monitoring systems can be utilized in predictive maintenance programs, accident investigation, production planning, and overall plant performance measuring. 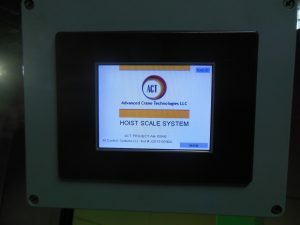 ACT can custom design a system for your facility, even utilizing wireless Ethernet technology to put a “Dashboard” on the computer desktop of your maintenance supervisor, safety monitor, or production Manager showing real-time information from each crane in your plant. 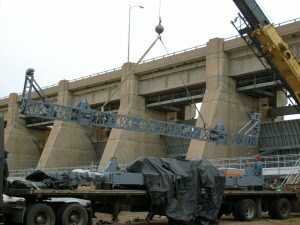 We provide Spillway and Gate Handling Equipment. 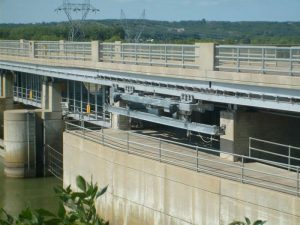 ACT provides corrosion resistant sheaves and blocks for gate handling at hydroelectric dams, stoplog handling beams, gate handling equipment, and gate hoist machinery as well as cranes. We can provide our customers products with elaborate coatings, and designed for immersion in water. ACT can custom design Load cell systems, and Load Moment Systems for retrofit on your existing crane. Our broad experience with various sizes, and types of cranes, and relationships with experienced load cell equipment manufacturers allows us to select the perfect match of instrumentation with your unique application. With ACT your custom solution doesn’t stop at the crane hook. 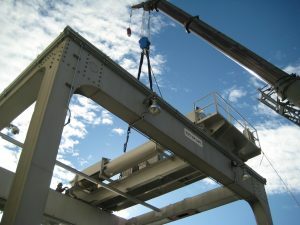 We can design and build special lifting beams to handle your unique application. 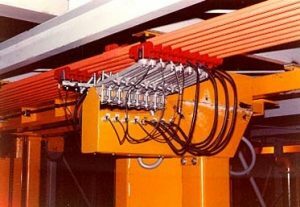 Applications include long, multiple hook beams for long products, beams designed to combine the lifting power of two cranes for heavy lifts, and unusual geometry for loads with eccentric centers of gravity. ACT not only supplies our new cranes with the option of radio control, but can retrofit your existing crane with the latest technology, increasing the safety and productivity of your operation. As part of our “total turn-key” solution, ACT can provide and install new runway electrification, cross span conductors, cable reels, and festoon systems. We offer deep discounts on Conductix (Insul-8), Universal Electric’s 4-Bar, and Safety Trolley systems.